Why should I use Oak Lane Solutions? Trusted by small businesses for 20 years! Oak Lane Solutions responds to requests quickly and efficiently! We want you to be happy and will work with you to meet your needs. Oak Lane solutions provides excellent support for all services provided. 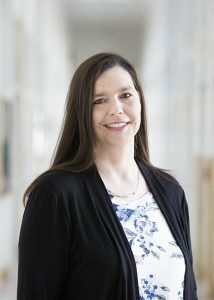 Angela Rogers started Oak Lane Solutions (formerly Rogers Consulting) in 1998 and has been providing computer services and support for both residential and small businesses since. She has a BS degree in Computer Science from Brigham Young University. "She (Angela) has a passion for solving problems and coming up with innovative ideas. She has patiently helped many clients, including myself, with tech support for their companies and non-profits." "Our ecommerce business has been using Oak Lane Solutions for that past several years. Angela's programming work has taken our company to a much higher level and has helped us become successful. She is extremely talented and bright and programs twice as fast as any other programmer we've used. "Angela is outstanding - the best of the best in websites and IT work. She's created outstanding websites for me and provides exceptional value. She's also just one of the smartest people I know. I would recommend her to anyone without hesitation."